Community development involves empowering communities and this is very important to Ashton. It relates to everyday issues such as: community safety, children and young people, leisure, education, political ex-prisoners, health & well-being, housing, human rights, physical renewal, employment, regeneration and the environment around us. Helping residents to take part in decision-making processes underpins all of these issues. This might include things like the development of a local park, a housing scheme, community safety issues or the delivery of a particular service. Another important part of this work is to lobby and campaign for more social and economic improvements and resources for the local community. 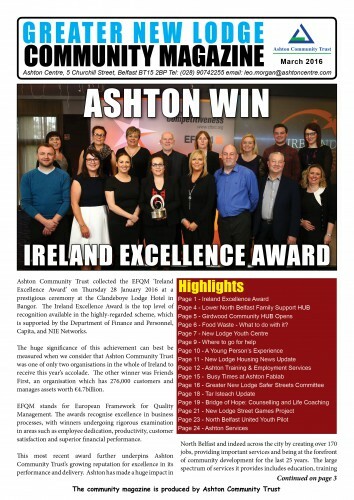 The GNLCEP was first established in 2001 with Ashton Community Trust as lead partner. The main purpose is to provide community organisations in the Greater New Lodge area the opportunity to cooperate and work together. All groups within the GNLCEP retain their own organisational independence and their participation is voluntary. By meeting regularly and working together this helps build greater trust and solidarity between the different groups and residents. The GNLCEP structure has helped improve communications between local groups and encouraged them to share resources and information. 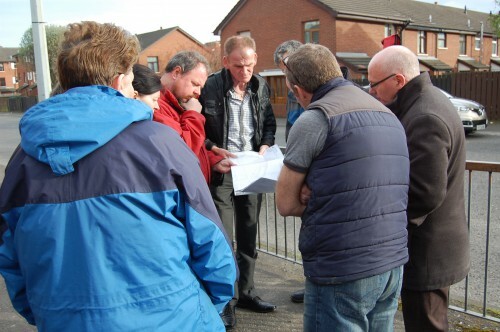 Over the years, GNLCEP groups have had extensive engagement with local residents about various issues affecting the area. The GNLCEP works to stay relevant to local needs and meets on a regular basis to discuss, prioritise, agree and implement actions. Minutes of these meetings are recorded and distributed throughout the GNLCEP network. Ashton works hard to make sure residents and community groups know what is happening and what services are available. These updates are carried out via email, phone network and social media. We also produce a quarterly community magazine which contains information about services, events, activities, policy issues and other items of social interest. The magazine is hand delivered to all homes and community outlets in the locality. It is free of charge to residents and is also distributed via email and social media. 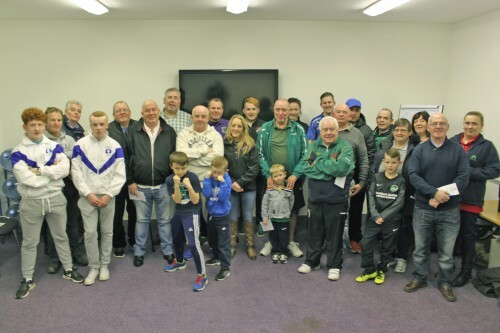 Each year the Community Bursaries Scheme allows Ashton Community Trust to use some of its financial resources to provide assistance to other community led projects. The bursary scheme represents a positive recognition of the great efforts of the many community volunteers that selflessly give up their time on behalf of local people. To date over 80 bursaries have been granted to local groups involved in activities such as sport, art, music, health, housing, culture, history, remembrance, safety and well being. In financial terms the bursary awards have amounted to £36,000. Ashton Community Trust understands how difficult it is to try and sustain this work particularly without access to regular funding and is delighted to provide this bursary scheme. For many years the New Lodge community has proudly promoted and celebrated its history, culture and identity in the form of a community festival. 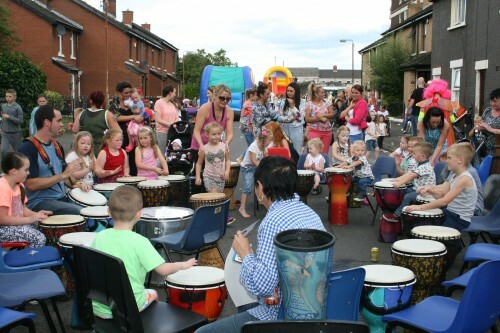 The Greater New Lodge Community Festival not only brings local people together to enjoy themselves, but it provides an opportunity to promote positive community life. 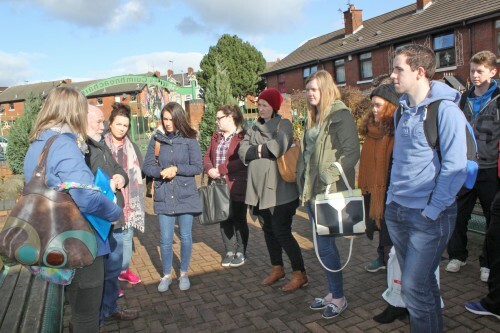 It also supports local people to engage with other communities, cultures, traditions and nationalities. The festival contributes to community confidence, morale and pride. It represents an alternative to negative attitudes and behaviours such as rioting, anti-social behaviour and bonfires. Creating a secure community where people can live without fear of crime, violence, intimidation and disorder is much easier said than done. Ashton Community Trust believes an effective way to make progress involves a partnership approach between community and statutory service providers responsible for maintaining public safety. ACT is a member of the Greater New Lodge Safer Streets Committee. The Safer Streets Committee meets regularly and is made up of residents, community workers and activists who operate on a voluntary basis. The Committee is open to all residents and welcomes volunteers. This work includes public and private meetings with local residents and statutory agencies around a wide range of community safety concerns. Many of these engagements have led to resolutions to identified problems. 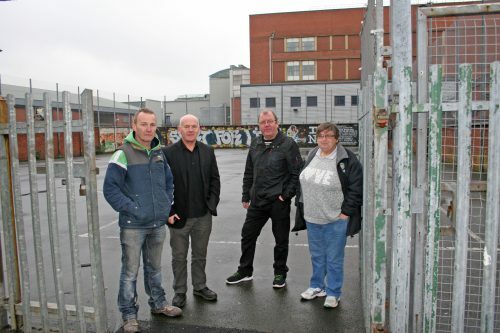 Ashton’s Community Development Co-ordinator is chair of the North Queen Street Park Working Committee. The goal of this committee is to maintain the park to the satisfaction of local people. The committee, working in cooperation with residents, Greater New Lodge CEP and Belfast City Council (BCC) has managed to radically improve and develop the park so that currently it has become a properly functioning park and an important community asset particularly for children and young people of the area. The committee continues to meet whenever necessary to explore issues of maintenance and further improvement and to liaise with BCC and other relevant agencies. Currently there is a huge level of urban development occurring on the doorstep of Inner North Belfast. This includes the University of Ulster, York Street Motorway Interchange, Streets Ahead Scheme, Clifton Gateway, City Quays, North Foreshore and Girdwood. Other developments are being planned. These investments represent over £1Billion, presenting massive opportunities and challenges for local neighbourhoods. Historically speaking, flawed planning and design exacerbated by decades of conflict and political instability created a pattern of poor urban environments where communities became physically cut-off and segregated from the city centre and other areas of significant commercial and social activity. Ashton Community Trust views this as a crucial challenge and is working and lobbying hard to ensure that local neighbourhoods are more effectively included and connected. To this end it is involved in various forums that are relevant to these issues in order to advocate for a more organic, bottom up approach to urban development that reflects the real needs of local communities. The community development services that Ashton provides helps to ensure that local people have better information, knowledge and guidance in relation to local issues and concerns. By sharing ideas, information, skills and resources local groups benefit from a more holistic understanding of community needs, development practices and processes. It also builds their capacity to more effectively target and deliver projects and services therefore improving their overall performance. Another benefit is increased awareness about funding opportunities, a reduction in the level of competition between groups for resources and less duplication of services. Paul O’Neill, Community Development Coordinator. Phone 028 90 742255.